We understand that choosing the right home care provider can be challenging for you and your family. We know that you want compassionate, respectful care for your loved one. Home care providers can be fundamentally different from one another in terms of their quality of care and the home care services they offer. How long have you been providing home care services? 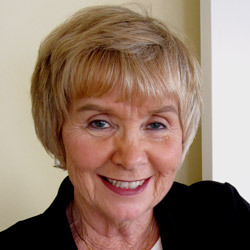 In 1996, Stevie Alexander founded Marin Independent Caregivers Network home care referral agency, known for its competent, trustworthy and reliable service. How many clients do you normally work with? To maintain the highest quality of care and continuity for our clients, our maximum caseload is 8-10 by design. What types of home care services do you provide? We provide all types of personalized home care—from companioning to hospice care, caring for individuals with dementia and Alzheimer’s, individuals in recovery, stroke survivors, and the chronically, acutely, and terminally ill.
Do you accept responsibility for screening, training, insuring, and monitoring the caregivers? Are references checked and criminal background and drug screens conducted on caregivers? Absolutely! Care manager and owner, Stevie Alexander, personally interviews all caregivers and checks their references. She accepts only the most qualified, highly skilled, conscientious individuals. Stevie then selects the caregivers she feels are the best fit for her clients’ needs. All of our caregivers function within the Scope of Practice determined by the State of California, follow detailed guidelines regarding the results expected of them, and specific recommendations by health care professionals regarding their client’s care. All caregivers are required to have their own individual professional liability insurance and bonding. They are Live Scan fingerprinted and Department of Justice screened, ensuring our clients’ peace of mind. How do you screen and select caregivers? Every caregiver is an experienced CNA (Certified Nurse Assistant) – some are also CHHAs (Certified Home Health Aides). All of our caregivers are trained and certified by the State of California. Stevie Alexander selects the caregivers she believes will be the most beneficial and appropriate for each client. Caregivers are personally introduced to the client and approved by the client or his/her representative(s) before being assigned. Do you, along with the client and family, develop an individualized plan of care? How are emergencies handled after normal business hours? Yes. Stevie Alexander, along with the client or his/her representative(s), creates an individualized care plan at the beginning of each assignment. The care plan is updated and revised as needed. Rather than having “normal business hours,” Stevie Alexander is personally on call 24/7. If a call is made to 911 and a client is taken to the hospital, Stevie will meet the caregiver and client in the ER. In a Hospice situation, Stevie Alexander is personally available to the caregiver and family whenever support is needed or requested. What if the caregiver is unable to show up for the assigned shift? A team of caregivers is available to each client. If a caregiver cannot make it for the assigned shift, another caregiver from our team will show up. 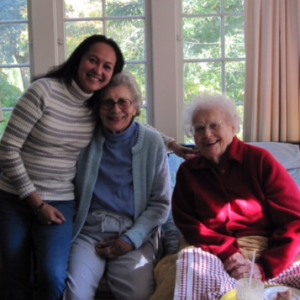 In over 22 years of providing home care, we have never had a caregiver not show up! Our rates are lower or at the low end of what other home care agencies charge. Our caregivers receive up to 84% of the fee. Care manager fees are included in the rates. How often are caregiver services monitored? Does the agency representative make regular visits to the client’s home? Caregivers are required to keep Stevie Alexander informed and updated regarding their clients’ care and needs on an ongoing basis by phone. Stevie personally visits each client weekly for client assessment and update and caregiver support and guidance. Visits increase when additional support and guidance is needed or requested (i.e., if the client’s health is declining). Do you manage all payroll and employee related matters? The care manager and every caregiver is an independent contractor, responsible for reporting and paying his/her own income and self-employment taxes. Caregivers’ names and Social Security numbers are provided to the client or his/her representative(s) yearly, or at the end of an assignment. A 1099-MISC is then issued to the care manager and caregivers. Our caregivers are required to have individual professional liability insurance and bonding, which must be current. Clients may add a rider to their homeowners insurance, if they choose.